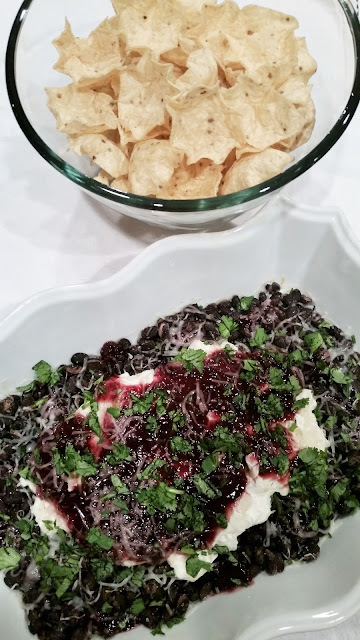 I am not crazy about beans but this Raspberry Chipotle Black Bean Dip is deeeeeeelish! A dear friend introduced me to this delight and I have been hooked ever since. 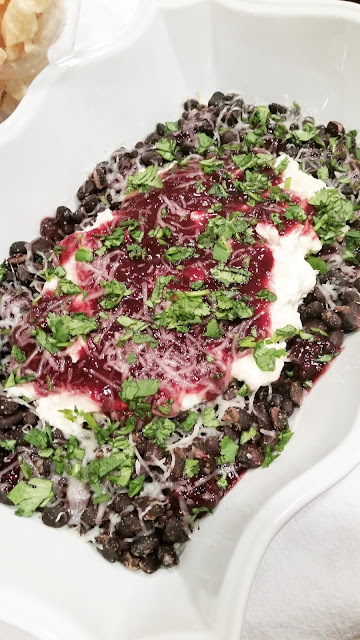 It is sweet, savory, creamy, and spicy all at the same time. The layers of flavor are simple but scrumptious. I could easily eat it all myself so I have to double the recipe. 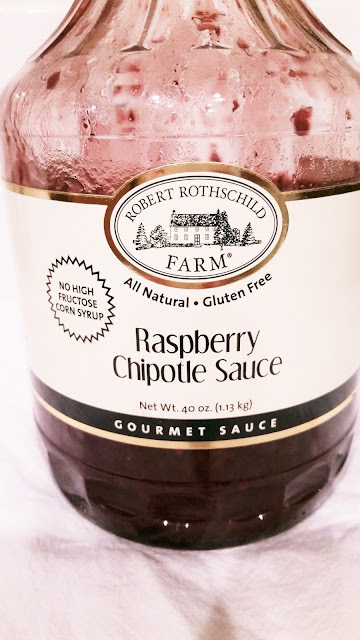 This is the raspberry chipotle sauce I used. It is what makes the entire dish. Found it at Costco. Set out your cream cheese and allow it to come to room temperature. Sauteé the onions and garlic in the oil until the onions are soft and translucent. Mix the onion, garlic, salt and pepper into the cream cheese. Set aside. In the same skillet, add the beans and cumin and mix well. Heat the beans on medium for about 10 minutes so the cumin won't have a raw taste. Spread the beans evenly in the bottom of an oven safe dish. 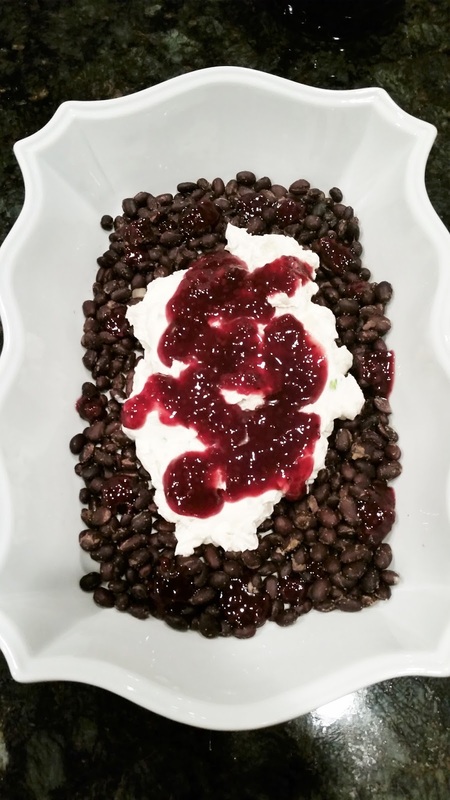 Heap the cream cheese in the middle of the beans. Drizzle the whole lot with the raspberry chipotle sauce. Sprinkle the cheese over all. Bake at 350°F for 15 min or until the shredded cheese is melted. Garnish with the cilantro and serve with tortilla chips.